I bet you're singing along now aren't you? I knew it. 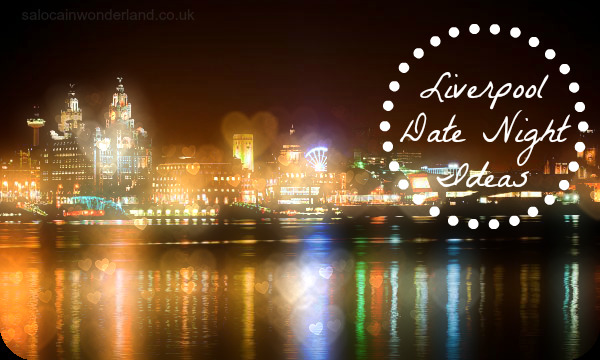 Liverpool is an incredible city, and if you're looking for the perfect Valentines date night in the city this year then you'll be spoilt for choice. Music, food, culture, even a stroll along the famous docks, love can be found on every corner of the city this Valentines day. If you're looking to spend Valentines day in the city, be it a first date or a fiftieth Valentines together, there is something going for all of you loved up couples out there! Here's a quick run down of my top picks across the city centre this Valentines day! Be swept away on keys and strings with a performance by the infamous Liverpool Philharmonic orchestra. Covering classical romantic favourites including; Bolero, Carmen Suite and Habanera. Guitarist Miloš Karadaglić will be making his Liverpool début, whisking you away across the romantic plains of Spain. The Liverpool skyline is so impressive - but even more so when seen from 60meters high! 41 individual capsules and one very special VIP capsule, will take you on a 360 degree panoramic view of the city. What could be more romantic than seeing the city from the skies when it's all lit up at night? The wheel makes 3 rotations, giving you plenty of time to enjoy the views and each others company. You can even get some champagne to take aboard! Just in time for Valentines day, can you think of a more romantic performance to see this Valentines day? Ghost is the timeless story about the power of love. Ghost is a roller-coaster ride of emotions, from comedy to tears.Would you cross the barrier between this life and the next to save the one you loved? Great food, fine wine and two lovers looking to escape for a night of luxury and indulgence - how does that sound this Valentines day? Mal Maison, situated on the infamous water front, is offering you the complete Valentines package this year - 4 course Valentines menu, over night stay, breakfast, chocolate dipped strawberries and a cocktail each. What more could your Valentine ask for? I've heard too many good things about this place! Coming out on Valentines day itself, HER is the tale of a lonely writer who develops an unusual romantic relationship with his operating system. The films looks brilliant and I can't wait to see it - and when I do it'll be here at The Fact. With three exhibition halls, a cafe, bar and three film screens, screening both mainstream and independent films, you're in for a cultured night. They even have more intimate couch seating known as The Box for those who are really loved up this Valentines day. Be sure to try the speciality flavoured popcorn and get your wine in a plastic flute if you want to take it into the film with you! How will you be spending Valentines day this year? A trip into our fair city perhaps?